The Apple Watch is the best-selling smartwatch ever released, but there’s always room for improvement. The Apple Watch Series 2 tweaked the Apple Watch Series 1 for the better in a few key areas, but wait for the Apple Watch 3 — likely to be unveiled during a packed fall event with the iPhone 7S, 7S Plus, and anniversary edition iPhone 8. What exactly will the release of the Apple Watch Series 3 bring? The device is shaping up to be quite an interesting one. Here’s everything we know about it so far. The Apple Watch 3 may be the first in Apple’s portfolio to support LTE connections, although rumors about such a feature have spread since the very first version, indicating it’s something Apple often experiments with ahead of launch. Still, the latest rumors indicate the Apple Watch Series 3 may come in a cellular variant. In a report published on Bloomberg, a source noted that the company will release watches with LTE modems built by Intel. That in and of itself is a big deal — Qualcomm has long been the main modem supplier for Apple’s iPhones. 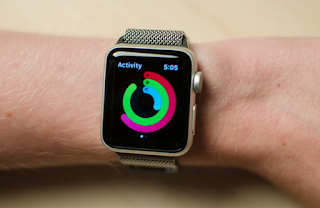 At the end of March, an analyst from Susquehanna Financial Group published findings from a data-gathering trip to Asia, and claimed, “several parties” said the new Apple Watch would have a SIM card slot and support LTE connectivity. The analyst met with Qualcomm and Broadcom during his trip, among others. Additionally, Apple may be investigating a low-power LTE chip for use in the Apple Watch 3 to ensure battery life does not suffer. The addition of LTE would make phone calls possible directly from the Apple Watch, and the Susquehanna analyst says Apple will push its wireless AirPods as the ideal companion product for the job. According to 9to5Mac, analyst Ming-Chi Kuo of KGI Securities released information claiming the Apple Watch 3 will come in both LTE and non-LTE models. The analyst also predicts the device with cellular connectivity will not support 3G but only LTE — limiting the markets it can be sold and used. The latest report comes from CNBC and corroborates past LTE predictions. The report also cites a knowledgeable source who claims the Apple Watch will not require being tethered to an iPhone to make phone calls. This means it will be able to perform other key functions such as sending messages and streaming music. The report also states the next generation model will most likely have cellular connectivity through an embedded SIM instead of a physical SIM card. CNBC’s source also stands behind a report from Bloomberg, which said Intel will will provide the LTE modems for cellular capability. The same report also listed AT&T, Verizon, T-Mobile, and Sprint as carriers planning to sell the device. When will we get the new Apple Watch? The two previous models arrived at different times, so there’s no established release date routine for Apple to follow. Sources continue to indicate the Apple Watch 3 will arrive in 2017. Hidden in a report published by DigiTimes — which can be hit-or-miss when it comes to rumors — on Watch manufacturer Quanta’s recent fortunes, a 2017 date for the Watch 3 is reiterated. DigiTimes suggested as far back as January that the Watch 3 will come during the third quarter of 2017. If the Watch 3 is coming this year, it may be part of what’s rumored to be a packed fall event, where we expect to see the iPhone 7S, 7S Plus, and the anniversary edition iPhone 8 / iPhone X. In recent months we’ve learned that iPhone 8 production has been particularly challenging for Apple, however; the latest rumors suggest the device could miss its target launch of September. In that event, the Series 3 Watch could surface later in the fall, or ultimately be bumped to early 2018. This shouldn’t be considered unlikely. There have only been two previous Apple Watch launches — the original in spring 2015, and the Series 2 in fall 2016. Apple may opt for another year-and-a-half turnover, meaning the Apple Watch 3 may come in spring 2018. The recent forecast from KGI predicts Apple will ship 17.5 million to 18 million Apple Watches this year — 8 million to 9 million of which will be the new models. Kuo also expects less than half to be LTE. According to CNBC, the Watch 3 will reportedly launch in September at the company’s iPhone launch event alongside the release of WatchOS 4 — which Apple has already announced. Rumor has it that Apple may be stepping up the health tracking capabilities on the Apple Watch for Series 3. According to a report from BGR, the new Apple Watch may be able to monitor blood glucose levels, and new reports indicate that Apple CEO Tim Cook is testing the new accessory personally. Cook has reportedly been spotted on the Apple campus wearing a prototype device, and while it’s currently unclear if the device is Apple-built or built in partnership with a medical company, reports from CNBC suggest that it’s a blood glucose monitor. Apple has reportedly been interested in helping tackle diabetes for some time, and a glucose-monitoring feature could be a game-changer for diabetics. Around 30 million people in the U.S. alone suffer from diabetes. Currently, the only way to monitor blood glucose is to get a blood sample. According to the report, the Apple Watch’s glucose monitoring will be noninvasive. Apple may introduce a whole slew of new functionality with the Apple Watch Series 3 through a series of interchangeable “smart bands,” which will add different functions to the Apple Watch quickly and easily. That will give the Apple Watch a modular design, and allow users to add features without having to pay more for the Apple Watch outright. It’s possible that the glucose monitoring system will be introduced as a smart band rather than as core functionality to the Apple Watch itself. The Apple Watch Series 3 won’t use the same touch panels as its predecessors. According to DigiTimes, Apple will source capacitive glass from Biel Crystal or General Interface Solutions. The reason: Apple is reportedly unhappy with the yields of its current glass manufacturer, TPK. The firm has been unable to produce the Apple Watch’s particular brand of glass at scale, reportedly because of the smartwatch’s curved surface. Moreover, a new report suggests that Apple will not be using OLED in the Apple Watch Series 3. Rather, it will be employing a new display technology called micro-LED. Back in 2014, Apple acquired LuxVue, a company that specializes in the technology, and now it appears the iEmpire is leveraging this company to bring micro-LED screens to market. It would certainly make sense for Apple to begin testing out micro-LED tech in its smaller hardware, like the Apple Watch. After all, as Apple Insider points out, producing these panels is quite difficult, and as such, it’s likely not yet ready for application on say, the newest iPhone. That said, the smaller screen of Apple’s wearable makes it an ideal first candidate. At one time or another Apple mulled putting a camera into the Series 2 Watch for FaceTime calling, but ultimately decided against it. With the next generation on the horizon, many have assumed a camera may be in the cards, though we haven’t received any reports indicating Apple will go through with it this time around either. Many are hoping that the Apple Watch Series 3 will bring with it a major redesign. If recent reports are anything to go by, this may not be the year we see one. According to a report from DigiTimes, which sources Chinese publication Economic Daily News, the overall design of the third Apple Watch will remain the same, despite the fact that it will include a few new key features. According to 9to5Mac, a recent report from analyst Ming-Chi Kuo revealed the Apple Watch will have the same general design rather than feature a new form factor. Kuo also claims it will ship in two size configurations — the 38mm and 42mm cases. Those hoping for a round Apple Watch may have to wait a little longer, if one is ever released at all. While round smartwatches like the LG Watch Sport have become quite a trend in the Android Wear market, the Apple Watch has stuck with a four-cornered form factor. The DigiTimes report also mentions two key improvements to the Apple Watch Series 3: Battery life and performance. The Apple Watch has never been a high performer and has always suffered from battery life issues, so improvements in those areas will certainly be welcome changes. Still, the Apple Watch Series 2 battery can generally last for around two or more days. With recent reports claiming the device will include cellular connectivity as a standalone device, this could be extremely battery draining. The story named Taiwan’s Quanta Computer as one manufacturing partner for the Series 3 watch. Quanta’s goal is reportedly to improve battery life first and foremost, as other aspects of the device may not receive the same kind of attention.